On December 11, 1981, Muhammad Ali slumped on a chair in the cramped, windowless locker room of a municipal baseball field outside Nassau. A phalanx of sportswriters had pushed and shoved their way into this tiny, breeze-blocked space. In this most unlikely of settings, they had come to record the last moments of the most storied of all boxing careers. They had come to intrude upon the grief. The show that had entertained and wowed from Zaire to Dublin, from Hamburg to Manila, finally ended its twenty-one-year run, the last performance not so much off-Broadway, more amateur theater in the boondocks. 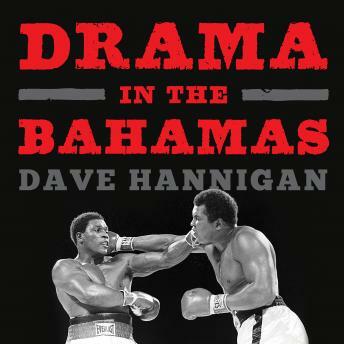 In Drama in the Bahamas, Dave Hannigan tells the occasionally poignant, often troubling, yet always entertaining story behind Ali's last bout. Through interviews with many of those involved, he discovers exactly how and why, a few weeks short of his fortieth birthday, a seriously diminished Ali stepped through the ropes one more time to get beaten up by Trevor Berbick.